the infamous Azov Battalion of volunteers to fight against the uprising in the Donbas. They then became part of the Ministry of Interior Forces, but maintained their own command, composed exclusively of members of the SNA. 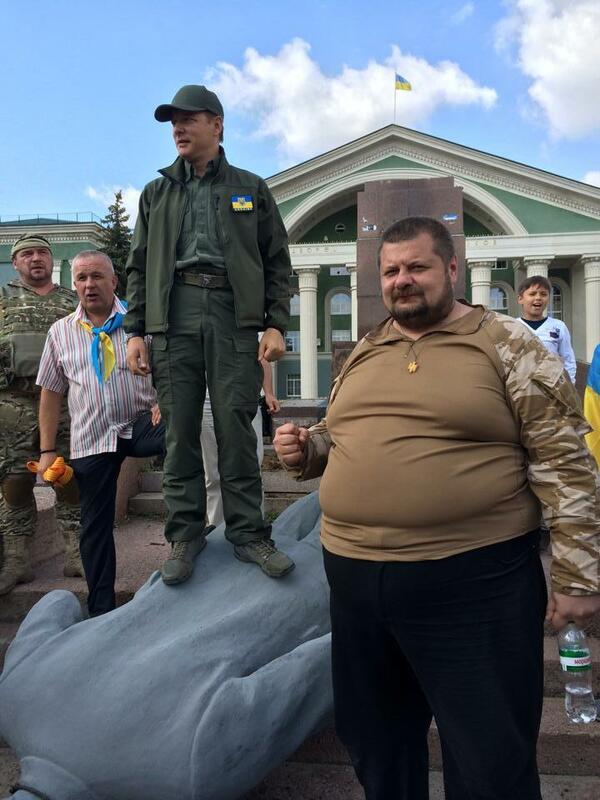 Mosiychuk became a deputy commander in charge of press relations for the Azov Battalion. At the same time he became close to far right populist Oleg Lyashko. A number of SNA members stood in the Kyiv local election on Lyashko’s Radical Party list. Mosiychuk was elected as a Kyiv councillor. At the beginning of August he resigned from his position in the Azov Battalion so that the Battalion would not be too closely associated with Lyashko. 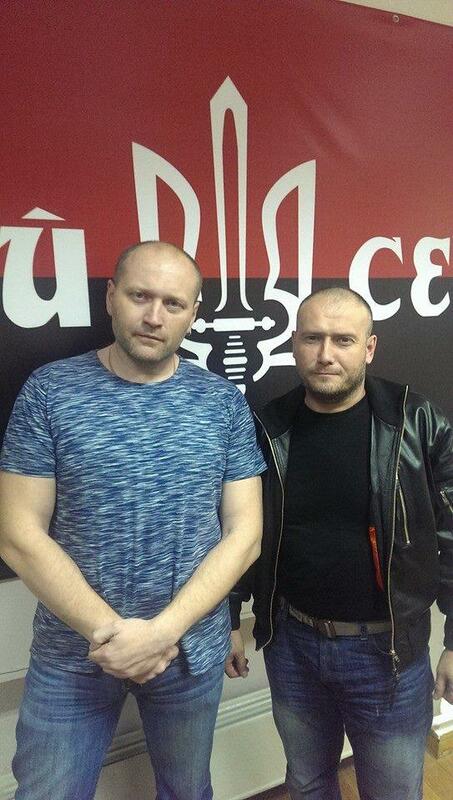 Two members of the far right Right Sector were elected in single-mandate constituencies, including its main leader Dmytro Yarosh and his second in command Borislav Bereza. Yarosh was elected in the 39 constituency in Dnipropetrovsk with 30% of the vote, after Yatseniuk’s Popular Front withdrew its candidate in his favour. Yarosh’s far right ideology is also well documented and can be traced back to the 1990s when he joined the fascist organisation Stepan Bandera Tryzub, which he has led since 2005. Then we have the case of Andriy Biletsky, the neo-nazi commander of the Azov Battalion, who was elected in the 217 constituency in Kyiv with 33% of the votes, after both Poroshenko and Yatseniuk refused to stand candidates against him. 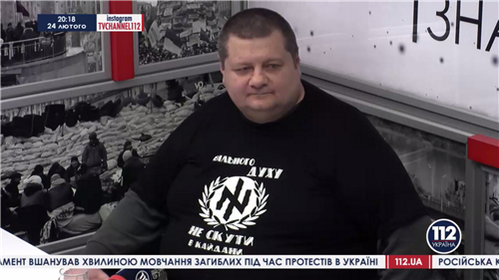 Biletsky also has a long past in the fascist movement in Ukraine. 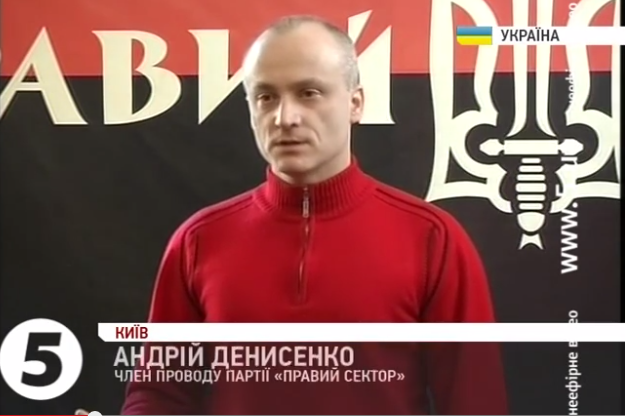 He was the leader of the Kharkov branch of the Stepan Bandera Tryzub since 2002. Later he joined the Social-Nationalist Party of Ukraine (SNPU) and organised its paramilitary wing “Patriot of Ukraine”. When the party became Svoboda, he rejected the “moderate” turn and went on to led Patriot of Ukraine as a separate organisation. Later on his organisation became de facto the paramilitary wing of Social-Nationalist Assembly of which he was a leading member. After being released from jail as a result of the victory of the Euromaidan movement he founded the Azov Battalion to fight against the Donbas uprising. 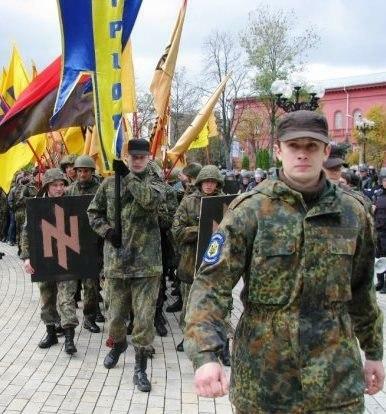 The Battalion has openly used a number of Nazi symbols which were used by the Waffen SS. He is also a member of the Military Council of the Peoples’ Front party created by Yatseniuk, Turchynov, Avakov and others. The party’s military council also includes the commanders of most volunteer battalions. This entry was posted in Articles and tagged aidar, azov, bereza, Biletsky, Donbas, fascists, Mosiychuk, nazis, neo-nazis, parliament, parubiy, Rada, semenchenko, Ukraine, UPA, Yarosh. Bookmark the permalink.